In my mind, 2014 might as well be dubbed “The Year Of The Failed Headboard Hunt.” Try as I might, I could not find the perfect crowning piece to suit our modern style, not to mention our flair for all things retro slash contemporary. So, as I’m sure you’ve guessed by now, I finally decided it was high time that I put my hands to good use and make one. I customized this bad boy right on down to the last painter’s tape line and couldn’t possibly be more in love with the final look. 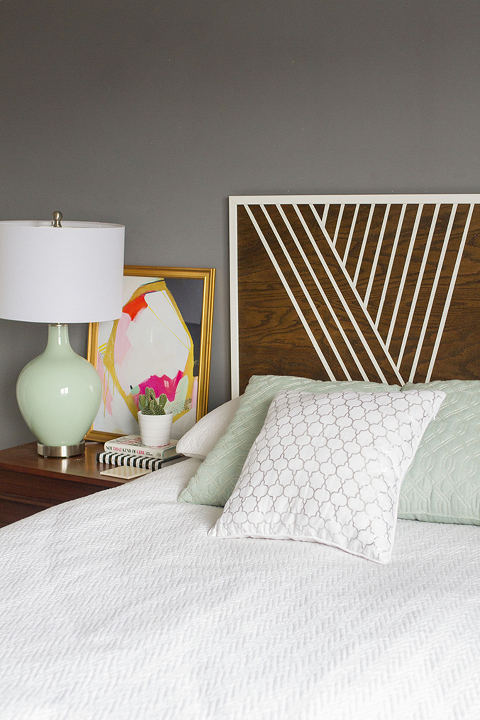 Click through to Hunker for the step-by-step break down on how our handmade headboard came to be!